Jewellery can capture unique moments and situations in life, which is exactly what one of our customers wanted to do. She popped into us to discuss two pendants as 21st birthday presents for her twin daughters – what a brilliant and beautiful idea! 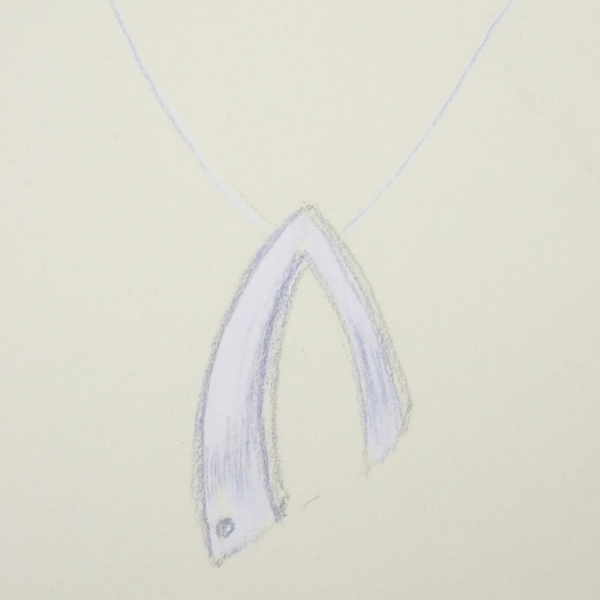 In conversation with her we agreed that the two necklaces would be completely different pieces that linked intrinsically together, reflecting her twins as separate individuals with a unique and lifelong bond. 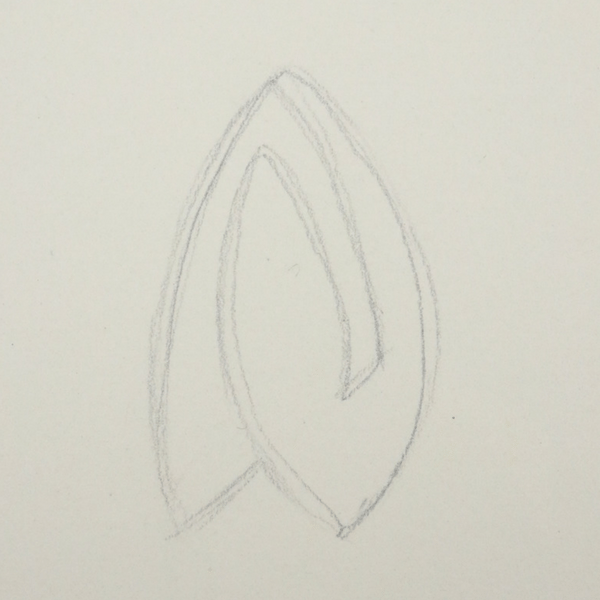 Working along these lines, we sent our customer a sketch of our proposed design for the pendants. She loved it, so we got to work straight away. 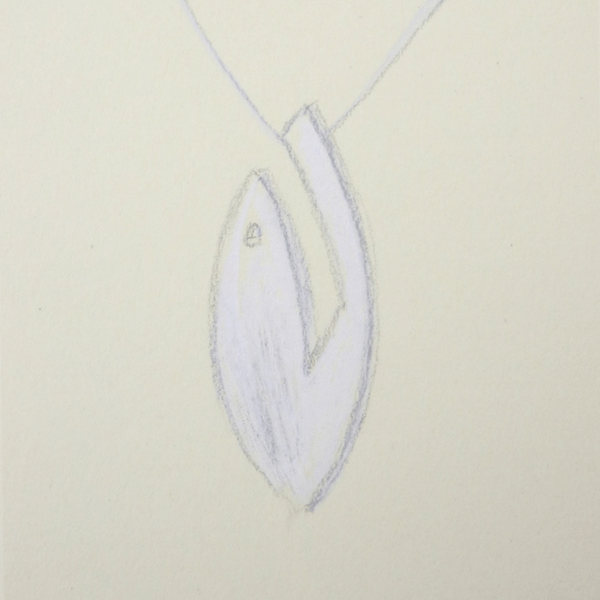 Each pendant was made in matte finish silver with a small round brilliant cut diamond skilfully bezel set in 18ct gold. 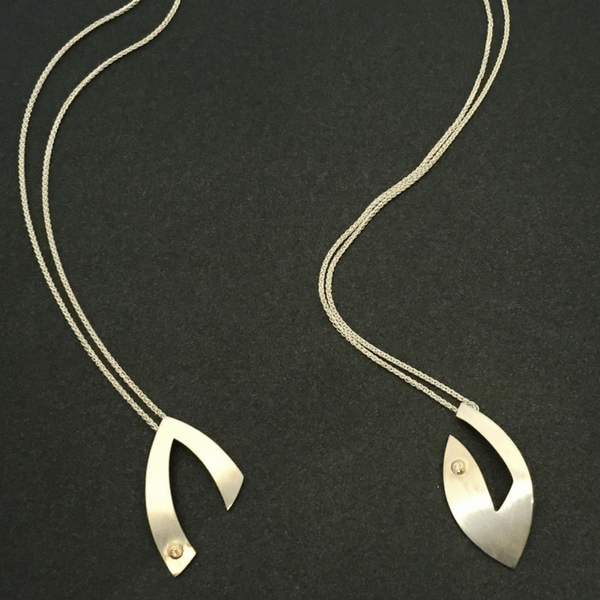 We handmade the pendants in our in-house workshop, carefully piercing the two shapes out of the one sheet of silver. The resulting necklaces were beautifully pared back but equally strong statement pieces. Although they stand alone, our customer and her daughters know the wonderful, connecting significance behind them. 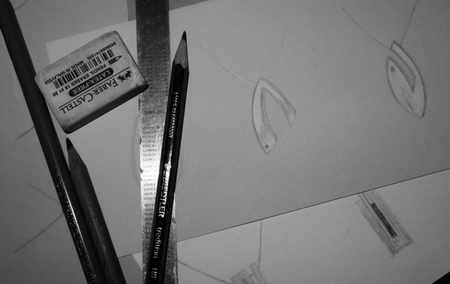 Every single piece of bespoke jewellery is different – that’s what makes them so extremely personal! We were thrilled to be able to bring our customer’s idea to life with these contemporary pendants that will be worn for years to come. 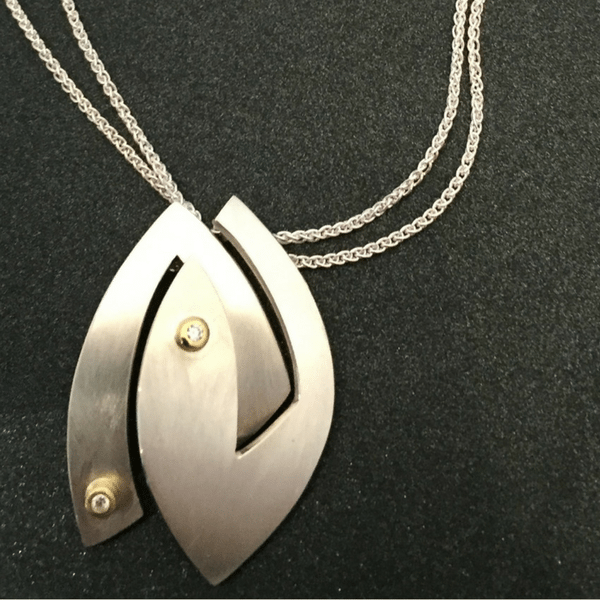 If you have an idea for a bespoke piece of jewellery and you’re not quite sure how get started, please do contact us to discuss ideas and options – we’d be very happy to go through designs with you. You can contact us on 01 671 01 03 or at shop@stonechatjewellers.ie or, even better, you can come into our shop in the Westbury Mall, Dublin 2.